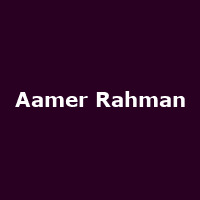 Aamer Rahman is an Australian comedian - one half of award-winning cult comedy duo Fear of a Brown Planet. "Rahman is an Australian TV staple, with credits including Oxfam Comedy Gala, You Have Been Watching and the Aussie version of Balls of Steel. He is also a regular at "Political Asylum", Melbourne's topical stand-up comedy night."